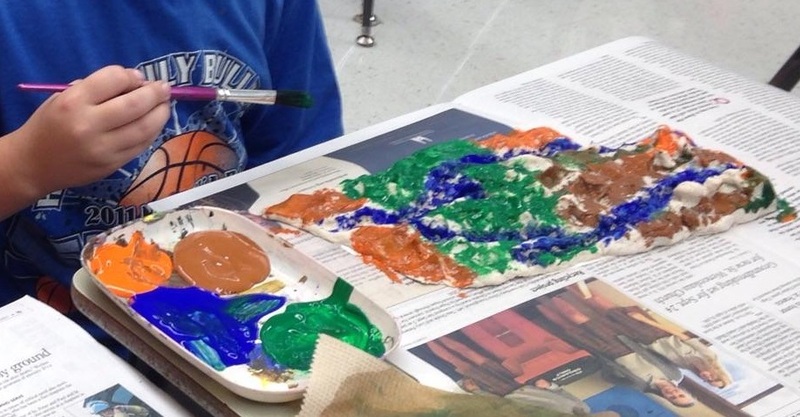 Holy Family 3rd and 4th graders are painting raised relief maps of Nebraska they made out of play dough. They made the homemade play dough at home and brought it to school, where they used it to cover a cardboard cutout of Nebraska. The students are studying Nebraska history this year.